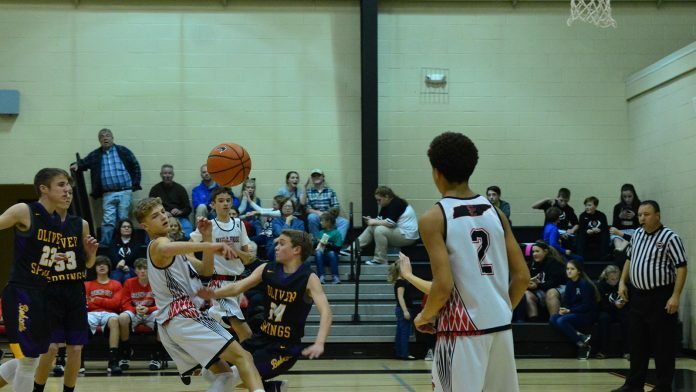 Spring City, TN — The Spring City Middle School basketball Bulldogs defended home court last week with two wins to stay on top in league play and Lady Bulldogs split their two games. On Monday, the Bulldogs took on rival Oliver Springs and the game was very close until the final 43-41 score in favor of the Bulldogs. The trio of Jaden Pankey, Cade Cook and Drew Fisher combined for 13,12 and 10 points respectively to furnish the offense. The Lady Bulldogs also played a very close game. After dropping behind 6-0 early the Lady Bulldogs came back to take a 14-9 halftime lead. After a low scoring third quarter the Lady Bulldogs led 18-13. Spring City held on for the 27-24 win. Kylie Garrison and Emily McClure had 13 and 12 points respectively to lead the Lady Bulldogs. On Thursday the Bulldogs played an entirely different game than Tuesday as they won 48-28. Game began like Monday with both team battling and Bulldogs coming out on top 10-8 after first quarter. In second quarter, Bulldogs established lead with 11-5 advantage in quarter. Bulldogs improved on the 21-12 halftime lead with 12-6 third to lead 33-18 going into last quarter and won quarter on way to 48-28 win. Cade Cook and Austin Brackett led the scoring with 20 and 14 points respectively and Cook canned a trio of three point baskets in the game. The Lady Bulldogs hung in against Lenoir City for 3 quarter but a scoreless 4th quarter made the game look less competitive than it was for the first 3 quarters. After digging a big hole 12-2 in the first quarter, the Lady Bulldogs won the second 9-3 to only trail 15-11 after 3 quarters. Lenoir used 17-0 fourth quarter advantage to win big 38-16. Kylie Garrison and Emily McClure had 5 and 4 points each to lead the Lady Bulldogs.